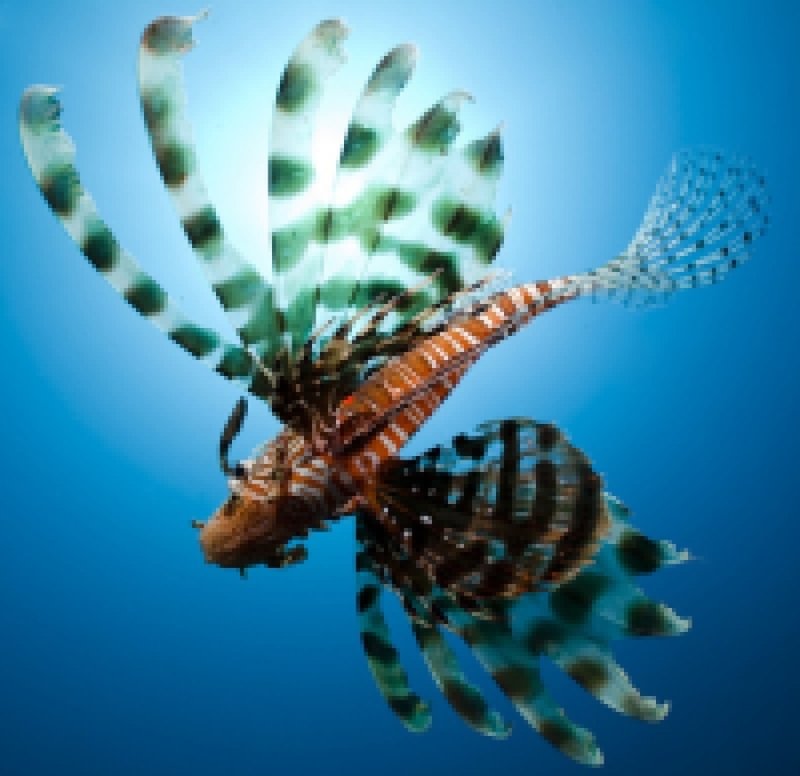 Are lionfish set for a Mediterranean invasion? 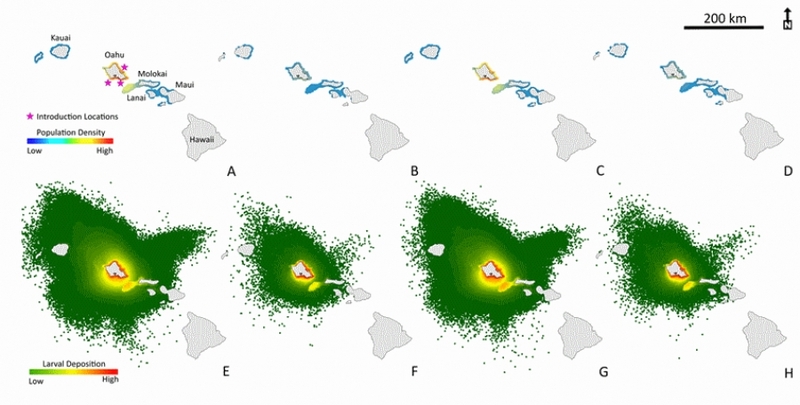 Forecasting the Success of Invasive Marine Species; Lessons Learned from Purposeful Reef Fish Releases in the Hawaiian Islands. 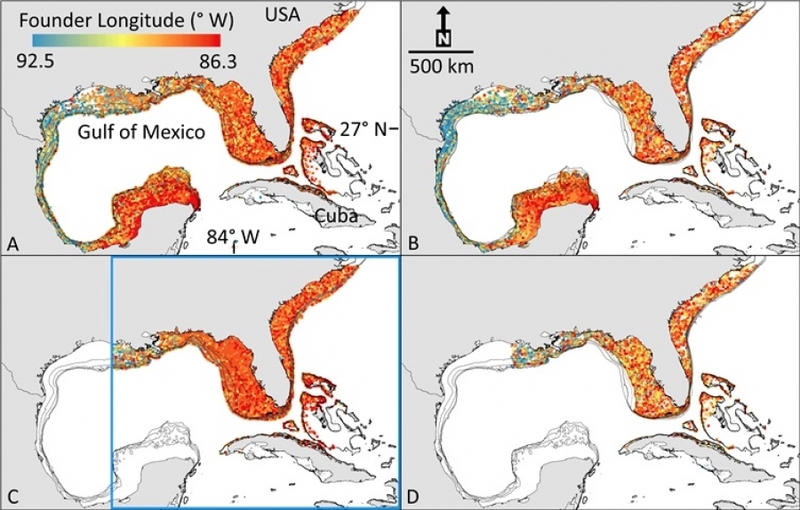 Forecasting lionfish sources and sinks in the Atlantic: are Gulf of Mexico reef fisheries at risk? 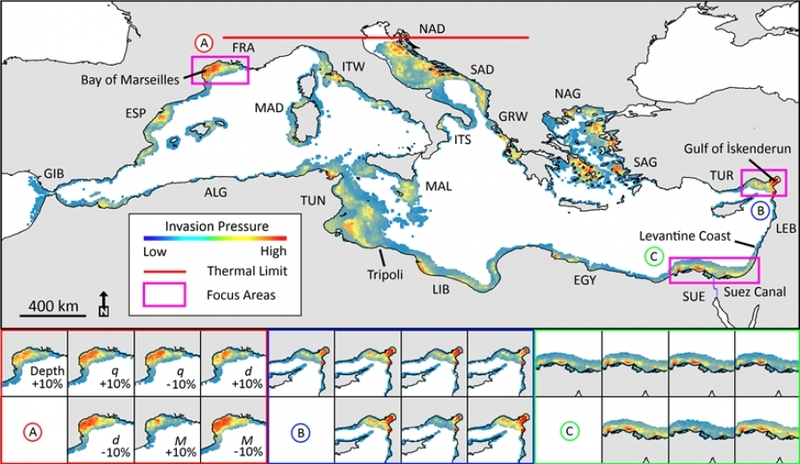 Perspectives of biophysical modelling with implications on biological connectivity of cold water corals in the Mediterranean. Population collapse dynamics in Acropora downingi, an Arabian/Persian Gulf ecosystem-engineering coral, linked to rising temperature. Global Change Biology. 23. Bernard AM, Johnston MW, Reichert MJ, Shivji MS (in revision) Genetic and Biophysical Modeling Evidence of Generational Connectivity in the Intensively Exploited, Western North Atlantic Red Grouper (Epinephelus morio). ICES Journal of Marine Science. 22. Riegl B, Johnston MW, Glynn PW, Keith I, Rivera F, Vera-Zambrano M, Banks S, Glynn PJ (in revision) Environmental, connectivity, and biological determinants of coral growth and reef building dynamics in the Galapagos . Nature Scientific Reports. 21. Byrne ME, Wetherbee BM, Vaudo J, Johnston MW, Harvey GM, Shivji MS (in revision) Geographically variable influence of environmental characteristics on the movements of a large pelagic predator. Ecography. 20. Boswell K, D’Elia M, Johnston M, Wells D, Warren J, Sutton T (in preparation) Oceanographic variability and solar elevation controls patterns of mesopelagic scattering layers. ICES Journal of Marine Science. 19. 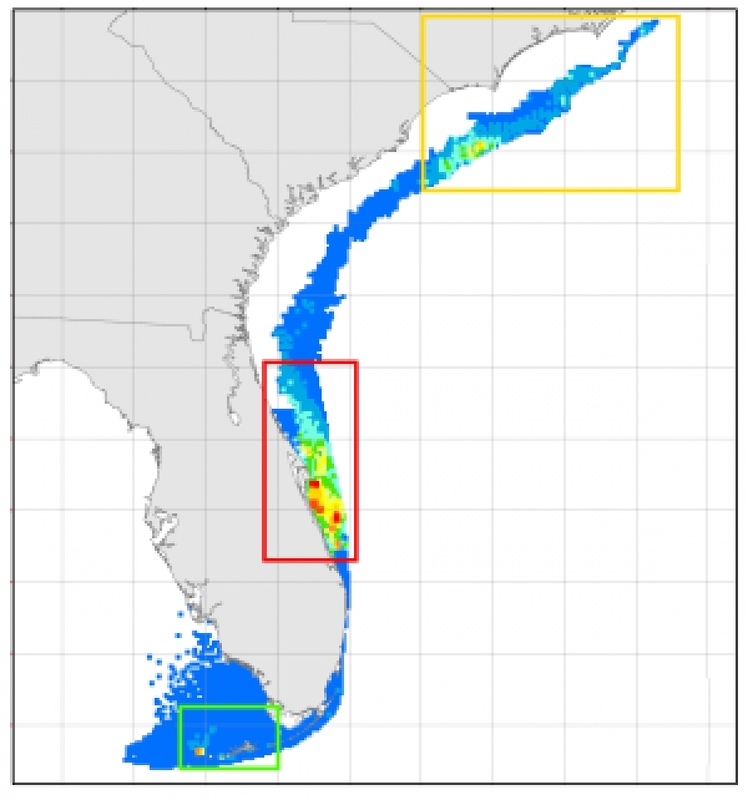 Johnston MW, Milligan RJ, Easson CG, de Rada S, English D, Penta B, Sutton TT (in press) An Empirically-validated Method for Characterizing Pelagic Habitats in the Gulf of Mexico Using Ocean Model Data. Limnology and Oceanography Methods. 17. Riegl B, Johnston MW, Bauman A, Howells E, Burt J, Purkis S, Sheppard CRC (2018) Population collapse dynamics in Acropora downingi, an Arabian/Persian Gulf ecosystem-engineering coral, linked to rising temperature. Global Change Biology. 16. Sylvain P, Johnston MW, Vaissièrec AC, Bergerd F, Jacoba C, Dodge R (2017) An update of the Visual_HEA software to improve the implementation of the Habitat Equivalency Analysis method. Ecological Engineering 105, 276-283. 15. O’Brien CM**, Johnston MW, Kerstetter D (2017) Ports and Pests: Assessing the Threat of Aquatic Invasive Species Introduced by Maritime Shipping Activity in Cuba. Marine Pollution Bulletin 125(1-2), 92-102. 14. Johnston MW, Bernard AM (2017) A bank divided: quantifying a spatial and temporal connectivity break between the Campeche Bank and the north-eastern Gulf of Mexico. Marine Biology 164(1), 1-15. 13. Johnston MW, Bernard AM, Shivji MS (2017) Forecasting lionfish sources and sinks in the Atlantic: Are Gulf of Mexico reef fisheries at risk? Coral Reefs 36, 169-181. 12. Purkis SJ, Gardiner R, Johnston MW, Sheppard CRC (2016) A half-century of coastline change in Diego Garcia – a strategically important atoll island in the Chagos. Geomorphology 261, 282-298. 11. Johnston MW, Akins, JL (2016) The Non-native royal damsel (Neopomacentrus cyanomos) in the southern Gulf of Mexico; an invasion risk? Marine Biology 163(1), 1-14. 10. Johnston MW, Purkis SJ (2016) Forecasting the success of invasive marine species; lessons learned from purposeful reef fish releases in the Hawaiian Islands. Fisheries Research 174, 190-220. 9. Johnston MW, Purkis SJ, Dodge RE (2015) Measuring Bahamian lionfish impacts to marine ecological services using Habitat Equivalency Analysis. Marine Biology. 162 (12), 2501-2512. 5. Johnston MW, Purkis SJ (2014) Lionfish in the eastern tropical and north Pacific; A cellular automaton approach to risk assessment. Biological Invasions 16 (12), 2681-2695. 4. GIGA Community of Scientists (2013) Global Invertebrate Genomics Alliance (GIGA): Developing community resources to study diverse invertebrate genomes. Journal of Heredity. 2014:105(1):1-18. 2. Johnston MW, Purkis SJ (2012) Invasionsoft: A web-enabled tool for invasive species colonization predictions. Aquatic Invasions 7(3), 405–417. 1. 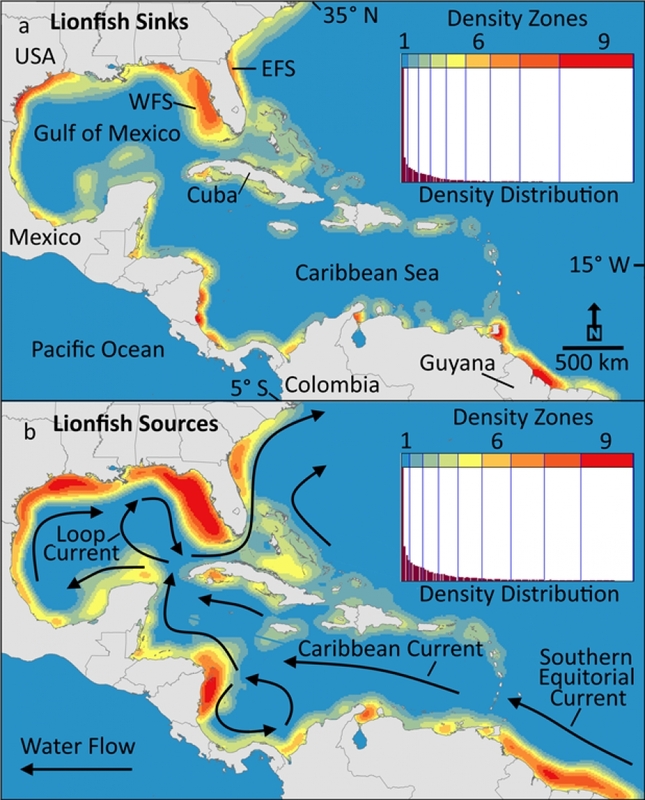 Johnston MW, Purkis SJ (2011) Spatial analysis of the invasion of lionfish in the western Atlantic and Caribbean. Marine Pollution Bulletin 62 (6), 1218–1226. 24. Johnston MW, Milligan RJ, Easson CG, English D, de Rada S, Penta B, Sutton TT (2018) DEEPEND: A Tool for Classification of Mesoscale Water mass Structure for Pelagic Community Analyses. 2018 Gulf of Mexico Oil Spill and Ecosystem Science Conference, New Orleans, Louisiana, USA. 23. Johnston MW, Milligan RJ, Easson CG, English D, de Rada S, Penta B, Sutton TT (2018) DEEPEND: A Tool for Classification of Mesoscale Water mass Structure for Pelagic Community Analyses. 2018 HCNSO Science Symposium, Dania Beach, Florida, USA. 22. Johnston MW, Milligan RJ, Easson CG, de Rada, S, Penta B, Sutton TT (2018) DEEPEND: A Tool for Classification of Mesoscale Watermass Structure for Pelagic Community Analyses. 2018 Ocean Sciences Meeting, Portland, Oregon, USA. 21. 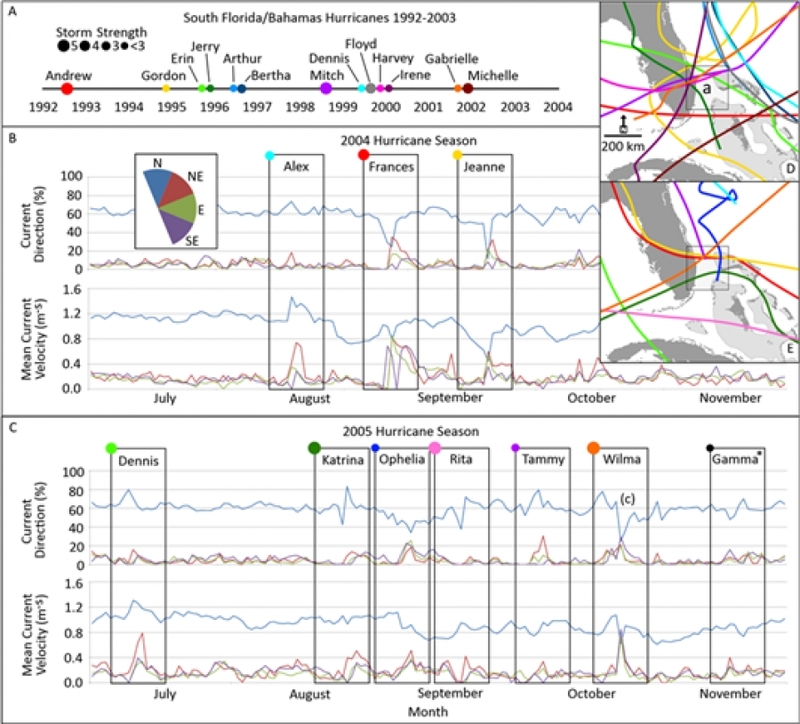 Johnston MW, Purkis SJ (2017) Hurricanes Accelerated the Florida–Bahamas Lionfish Invasion. 20th International Conference on Aquatic Invasive Species, Coral Springs, Florida, USA. 20. 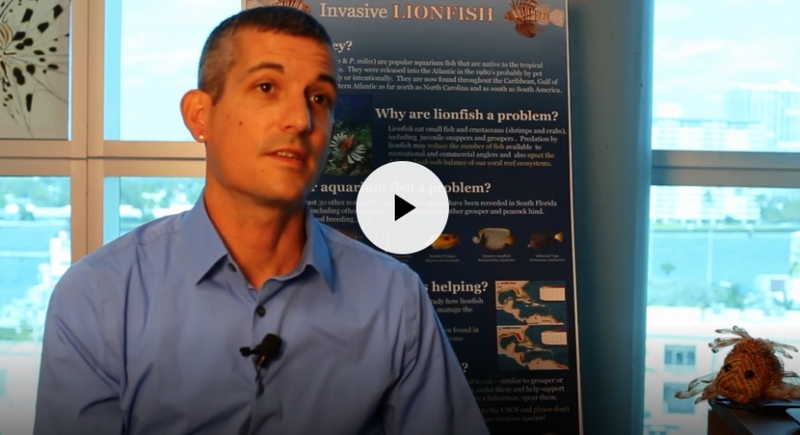 Johnston MW, Purkis SJ (2017) Hurricanes Accelerated the Florida–Bahamas Lionfish Invasion. 38th Meeting of the United States Coral Reef Task Force, Fort Lauderdale, Florida, USA. 19. Johnston MW, Purkis SJ (2017) Biophysical Modeling Suggests Hurricanes Accelerated the Florida–Bahamas Lionfish Invasion. American Fisheries Society 147th Annual Meeting, Tampa, Florida. 18. Johnston MW, Bernard AM (2017) Forecasting Lionfish Sources and Sinks in the Atlantic Using Biophysical Modeling. American Fisheries Society 147th Annual Meeting, Tampa, Florida. 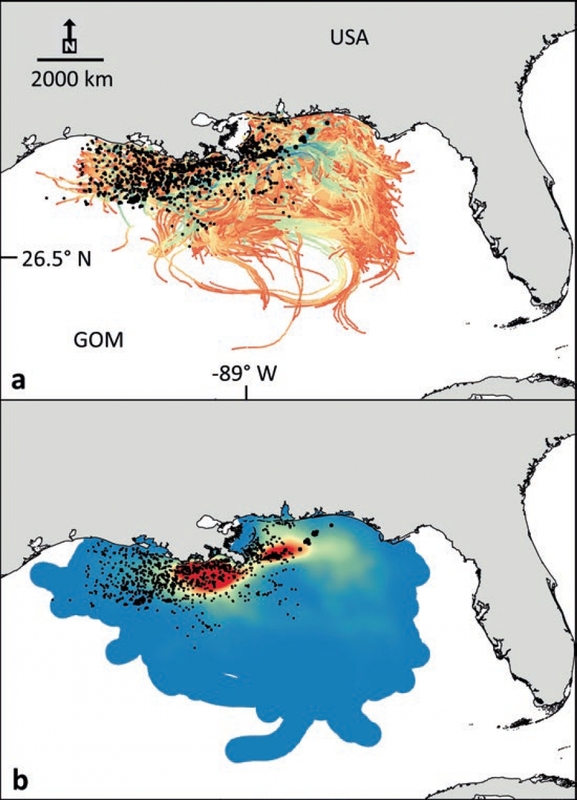 17. deRada S, Penta B, Sutton T, Johnston M, Milligan R, Easson C, Cook A, Boswell K, Lembke C, English D, Hu C (2017) Physical-bio-optical modeling in the Gulf of Mexico: Analysis of water mass relationships to pelagic habitat. 2017 ASLO Ocean Sciences Meeting, Honolulu, Hawai’i. 16. Sutton T, Cook A, Boswell k, Bracken-Grissom H, deRada S, English D, Eytan R, Hu C, Johnston M, Judkins H, Lembke C, Lopez J, Moore J, Nizinski M, Penta B, Romero I, Rooker J, Shivji M, Vecchione M, Wells D, Youngbluth M, Fenolio D, Frank T (2017) Deep-pelagic research in the Gulf of Mexico: The DEEPEND Consortium. 2017 ASLO Ocean Sciences Meeting, Honolulu, Hawai’i. 13. Johnston MW, Bernard AM, Shivji MS (2016) Genetic and Biophysical Modeling Assessment of Red Grouper (Epinephelus Morio) Connectivity in the Gulf of Mexico and Southeastern USA. 69th Annual Gulf and Caribbean Fisheries Institute Conference, Grand Cayman, Cayman Islands. 12. Johnston MW, Bernard AM, Shivji MS (2016) Lionfish sources and sinks in the Atlantic: are reef fisheries in the Gulf of Mexico at risk? 69th Annual Gulf and Caribbean Fisheries Institute Conference, Grand Cayman, Cayman Islands. 11. 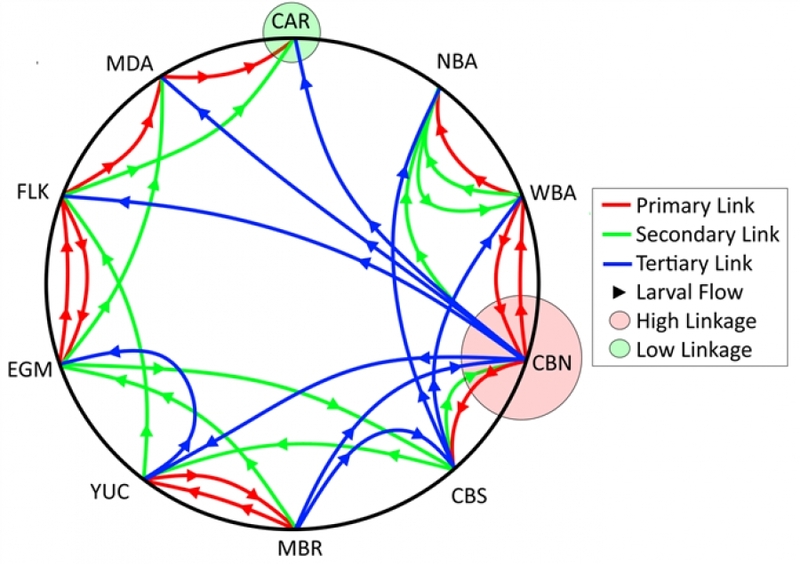 Johnston MW, Bernard AM, Reichert MJ, Shivji MS (2016) Genetic and biophysical modeling assessment of connectivity in the red grouper, Epinephelus Morio. 13th International Coral Reef Symposium, Honolulu, HI, USA. 10. 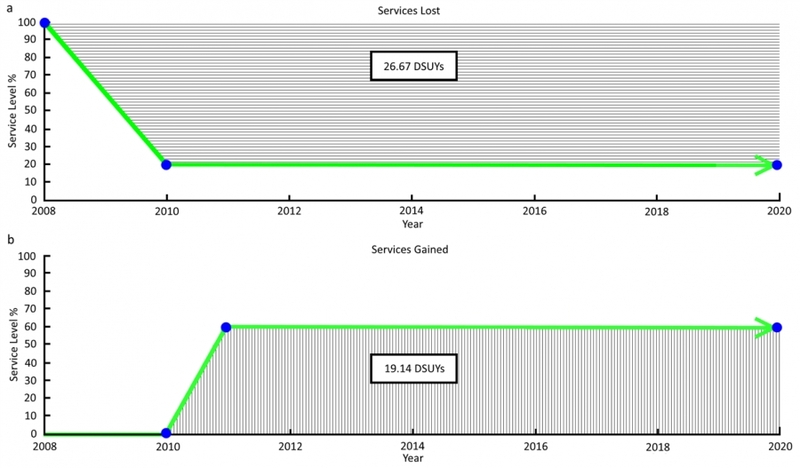 Cowen N, Johnston MW (2016) Monitoring a problem: evaluating the ecological status of the invasive Nile Monitor in Florida and forecasting population expansion using computational GIS. HCNSO Ocean Science Jamboree, Dania Beach, FL, USA. 9. Johnston MW (2016) A bank divided: quantifying the spatial-temporal connectivity break on the Campeche Bank. HCNSO Ocean Science Jamboree, Dania Beach, FL, USA. 8. 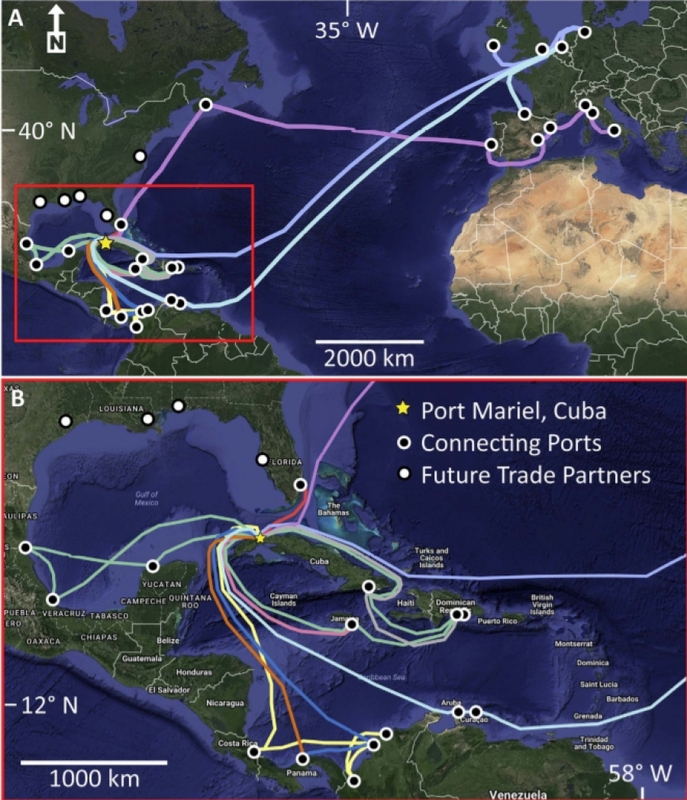 O'Brien C, Johnston MW (2016) Port Mariel, Cuba: promise, prosperity, and pests. HCNSO Ocean Science Jamboree, Dania Beach, FL, USA. 7. deRada S, Penta B, Johnston MW, Sutton T (2016) A Gulf of Mexico comparative analysis of numerical model results, cruise-based observations, and historical data. Gulf of Mexico Oil Spill and Ecosystem Science Conference. Tampa, Florida, USA. 6. 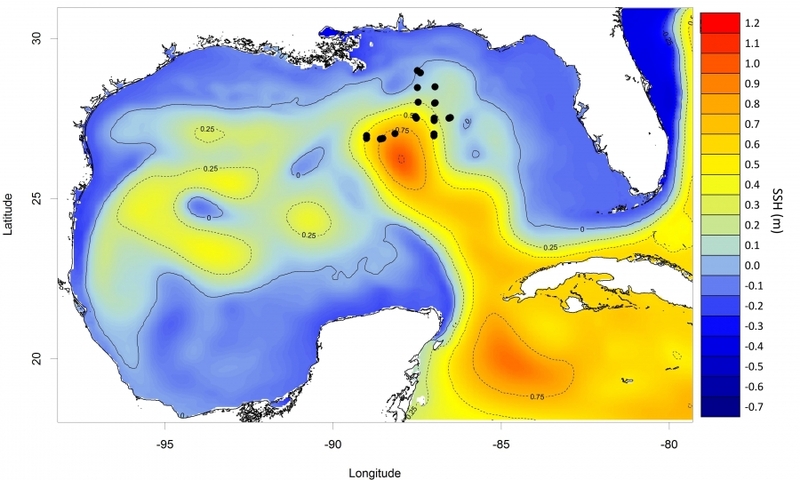 Sutton TT, Johnston MW, and 18 others (2015) Understanding deep–pelagic ecosystem variability in an age of increasing deep–ocean commercial activity: A Gulf of Mexico case study and new research initiative (DEEPEND). Deep–Sea Biology Symposium, Aveiro, Portugal. 5. Sutton TT, Cook AC, Johnston MW, and 17 others (2015) DEEPEND: Deep Pelagic Nekton Dynamics of the Gulf of Mexico. Deep–Sea Biology Symposium, Aveiro, Portugal. 4. Sutton TT, Cook AC, Johnston MW, and 17 others (2015) DEEPEND: Deep Pelagic Nekton Dynamics of the Gulf of Mexico. 2015 Joint Meeting of Ichthyologists and Herpetologists, Reno, Nevada, USA.